The BCS tractor is the heart of the BCS system. It is the power source that operates a range of attachments for your particular application. The Model 749, featured below, is one of the most popular and versatile tractors. In addition, we have many other tractor models available. 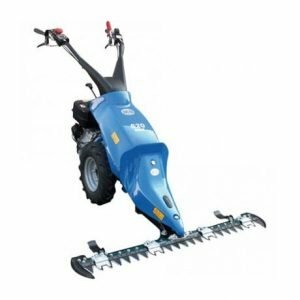 These are grouped into three different product lines based on their price, application and performance: Professional Series, Harvester Series and Specialty Series. We can help you find a walk-behind tractor model best suited to your intended use. This is one of our most popular units. It has three working speeds in both forward and reverse. Its differential drive capability gives you positive traction when needed but also allows you to make very tight turns easily. As is the case with all PowerSafe units, the 749 lacks a faster transport speed. Transport Wheel Speed This unit does not have a transport speed. Standard Wheel Size 5" x 10"
The 853 has sufficient power to operate almost all of the BCS implements. 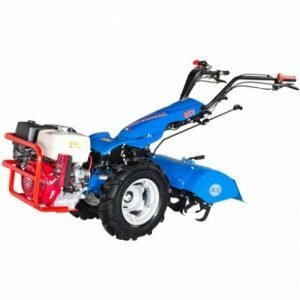 It features a third working speed and a fourth transport speed when used in rear-mount mode, such as with a tiller attachment. Differential drive with lockout provides “turn on a dime” precision with positive traction when needed. Dual brakes, one on each wheel, make the tractor easy to maneuver. 13 HP Honda gasoline engine. Available in manual or electric start. The BCS 852 has enough power to operate almost all of the BCS implements. 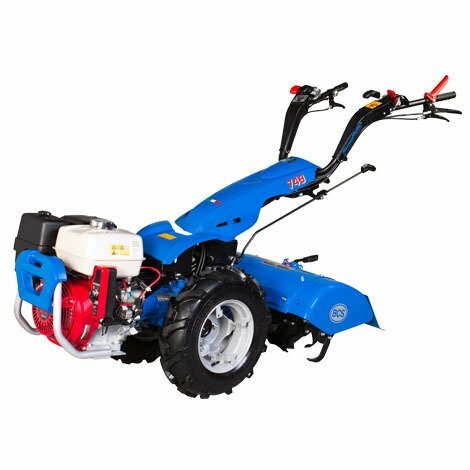 The 852 features a third working speed and a fourth transport speed when used in front-mount mode, such as with a mower attachment. Note: this is the opposite of the model 853 above. Differential drive with lockout gives it “turn on a dime” precision with positive traction when needed. Dual brakes, one on each wheel, make the model 852 easy to maneuver. 13 HP Honda gasoline engine. Available in manual or electric start. The 750 is designed for the most demanding commercial uses. 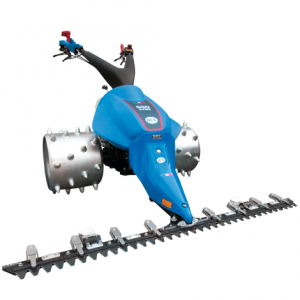 It has features that make it particularly well-suited for use in nurseries and commercial market farms. Powerful enough to use with the largest 33″ wide BCS tiller. 13HP Honda gasoline engine. Available in manual or electric start. 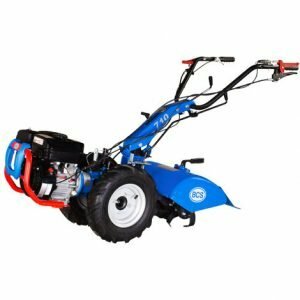 The 739 has a third working speed that can be used in both forward and reverse directions, enabling you to mow at 2.7 MPH. The 739 also features a differential drive with lockout. 11 HP Honda gasoline engine. Available in manual or electric start. The 732 is the lowest priced unit in the professional series. It has more features, a larger engine and is more versatile than the Harvester series tractors. It features a differential drive with lockout. 11 HP Honda gasoline engine. Available in manual or electric start. The 722 is one of the most popular models in the Harvester series. 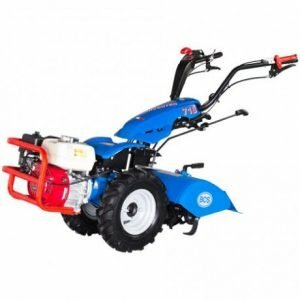 It can be used with attachments for mowing, tilling, chipping/shredding and more. Honda 8 HP gasoline engine. Available in manual or electric start. 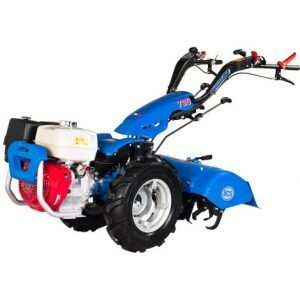 The 722 is designed for tilling gardens and for use in smaller mowing applications. Honda 6.5 HP gasoline engine. Manual start. The 710 is our smallest tractor. 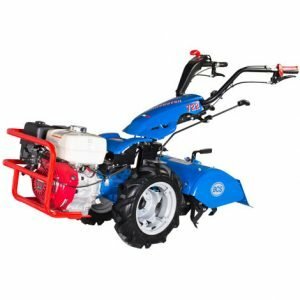 It can power an 18″ tiller and can be used with the smaller sickle bar mower attachments. Its main use would be for small gardens. Available with a Subaru 9 HP engine or 5.7 HP engine. Manual start. Designed for use with front-mount attachments only, the 620 features three working speeds and one transport speed. Honda 8 HP gasoline engine. Manual start. 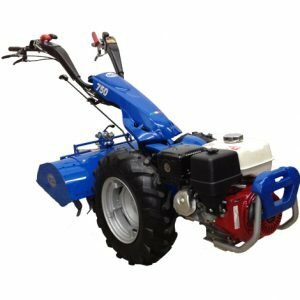 The 660 is a high-performance tractor designed for jobs that would be difficult or impossible with a traditional mower or four wheel tractor. It features a hydrostatic drive and hydraulically-assisted steering.